Glitter in the air. Air filled with glitter. As I said before, festive season made me go I little tiny crazy over shiny, glitter covered stuff. And apart from all the golden glitter covered tights and sequined mini skirt, I was on a serious hunt for glitter powder. Well, I was on this hunt for quite several months now as I've been having this DIY idea of revamping a pair of Cinderella heels, but it requires quite a big jar of glitter. My festive idea, in turn, involved a glitter hairspray as I wanted to add a lot of shine to my holiday season hairstyles. 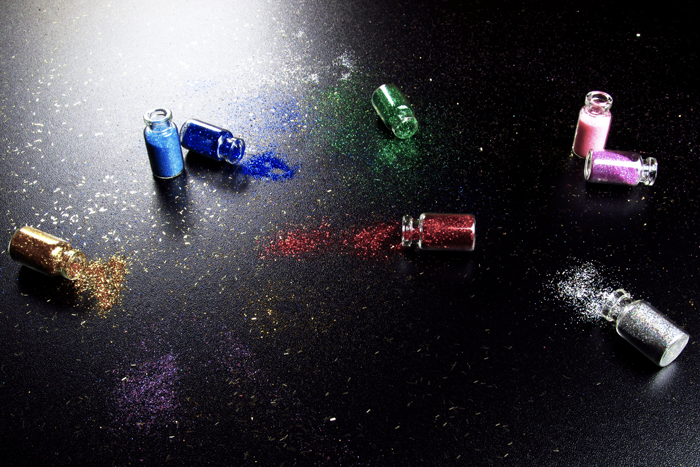 To cut a long story short, after failing to find what I wanted, I accidentally came across a pack of colorful glitter. And, yes, these tiny jars got me going literally insane. The moment I saw this glitter collection in 8 different colors, the idea of its multi-purposeness came to my mind out of the blue. Why should I spend more time searching for a glitter hairspray if I can simply mix a bit of this glitter with my beloved hair gelly from LUSH? Plus I can choose straight from 8 colors. (My glitter-y hair experiment can already be spotted in the Follow the Wind story) These glitters also add a twist to seasonal manicure. 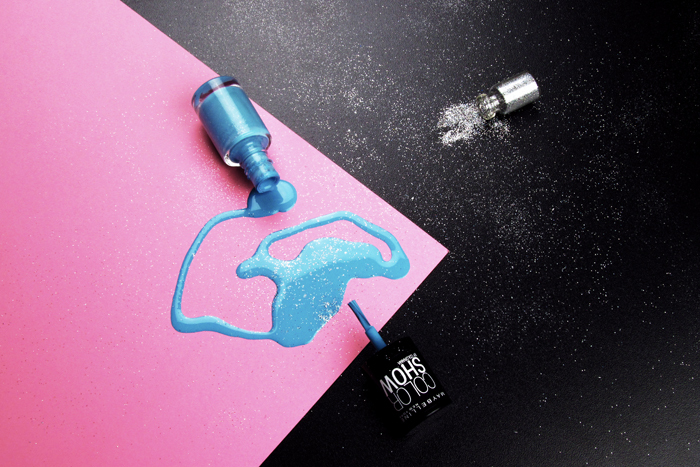 Just mix matching or contrasting colored glitter with any nail lacquer you want. 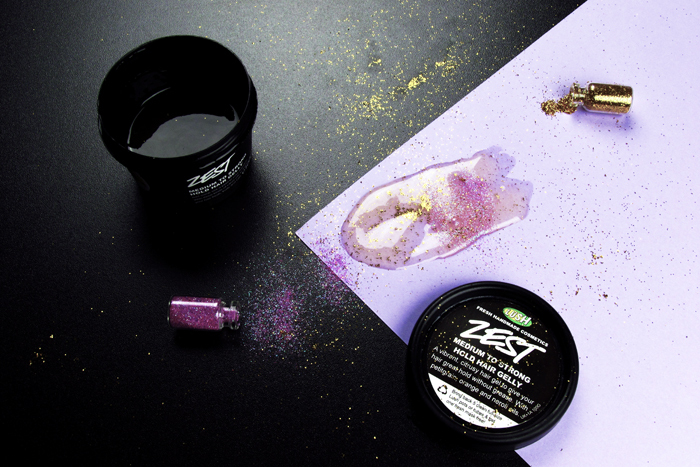 Can't escape but point out that this charming glitter collection works well with flat-lay photography both in terms of glitter being spilled and little jars becoming a part of an image. Can bet Instagram flat-lay fans will now start searching for something similar.